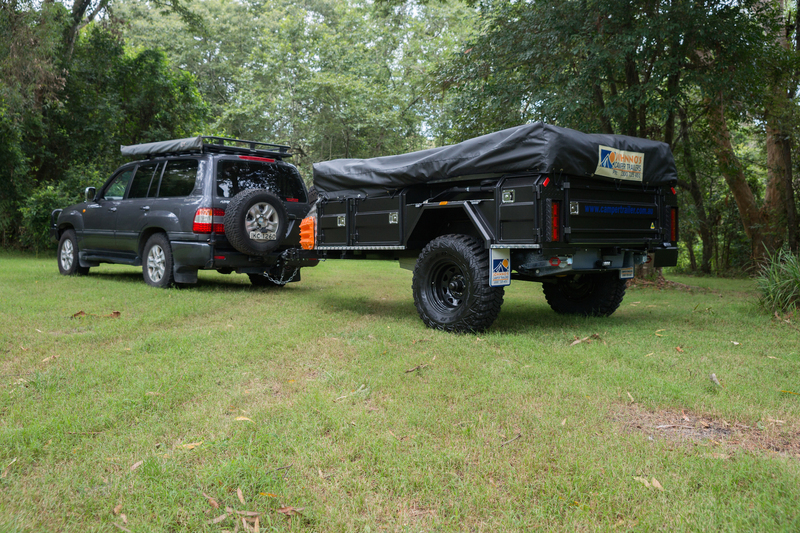 When it comes to soft-floor camper trailers, The Johnno’s Camper Trailers X-R15 has to be one of the easiest to set up that we’ve ever come across. For those who have done the “soft-floor shuffle” before, you’d know what an advantage this is. The X-R15 is fast and simple to fold out when all you want to do is knock dinner on the head and hit the hay after a long day’s drive, but there’s also a massive 2.7M x 2.7M living space that can be set up for longer stays as well. 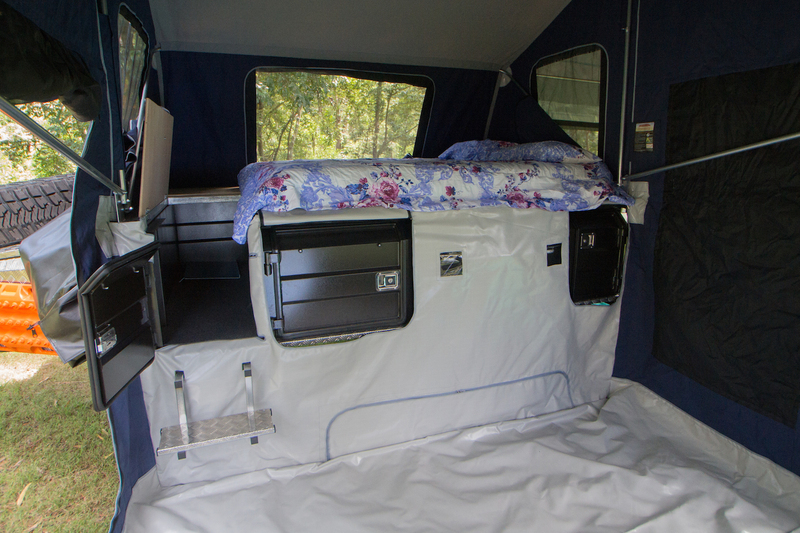 It’s actually extremely comfortable inside too, with plenty of windows so you’re not feeling like a sardine in a canvas can, plus we really liked the handy little flap at the base that allows cool air to circulate throughout the tent – a huge plus during the warmer months. The bed offers walk-up access so no pole-vaulting is required, plus the model we tested had a Coleman hot water system which added a touch of luxury. Build quality is up there with the best of them too, with quality fittings and welds all through the camper, and the independent coil suspension and galvanised chassis ensure it’ll last for years and follow you anywhere. The 32in Goodyear Wrangler MTR tyres will make short work of even the muddiest tracks, and even if you do get filthy on your off-road adventure, there’s certainly no shortage of storage areas to throw your muddy clothes into. The kitchen swings out from the tailgate and offers a big BBQ plate and a wok burner along with a sink and water for washing-up duties. For our money, the Johnno’s Camper Trailers X-R15 walks the fine line between providing a comfortable and easy to use space for extended trips with the family and overdoing things with unnecessary gadgets and excess weight. 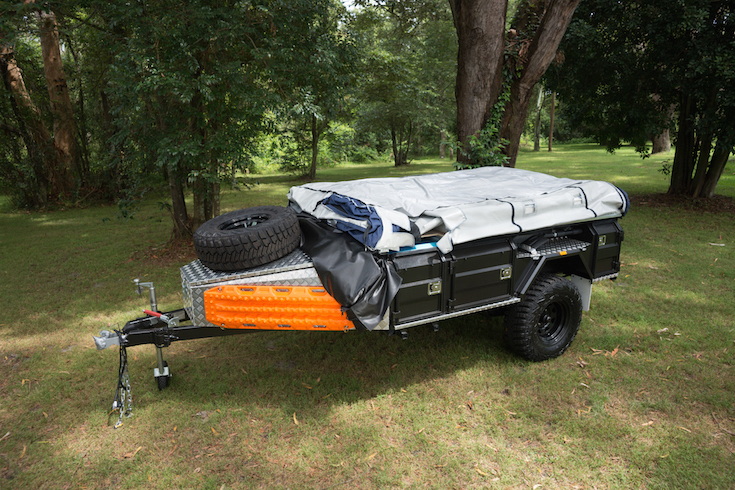 It has everything you need and nothing you don’t, which is exactly what we’re looking for in a good trailer, and at 100kg, it isn’t going to hamstring your tow vehicle’s power either. The X-R15 is priced at $28,990 and is constructed with Dynaproofed canvas and comes with a 5-year manufacturer’s warranty. I had a Johnnos evolution which looks like this model has replaced. Had many issues with it, quality was sub par at best. I hope they have addressed these as paying that much for a trailer with poor workmanship was beyond acceptable. Steinbauer Power Modules – Are They Worth It?